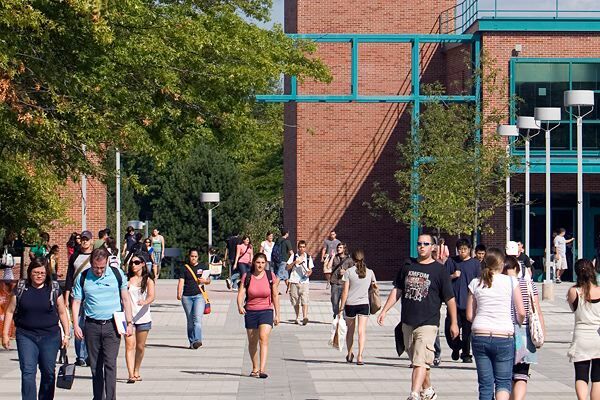 Today marks the last time I will make the trek up to Binghamton University in anticipation for either Fall/Spring semester. I have reached the Spring semester of my senior year of college. In May I will adorn green and white and graduate with a BA in English – Rhetoric – Creative Writing – whatever other English specification you want to pack into my degree. I am excited to enter the “real world.” I may be continuing my education at a Graduate level in hopes of achieving a masters in journalism. Or I may immediately enter the work force and become a member of the working population. For now, I will enjoy my last semester of college. Since today is the last time I will be heading up to Binghamton after winter (or summer) break, it also is the last time that I will feature “Going Up The Country” by Canned Heat paired with my farewell Long Island post. This classic, that was made iconic by the Woodstock movie, is not only a Woodstock anthem, but also an ode to my departure to the north country. Upstate New York…where the water tastes like wine? Congratulations on your upcoming graduation. I found your blog through the Canned Heat song… great selection. It is Bob Hite who has to pee at Woodstock. Alan rarely spoke onstage; he was quite shy and found it hard to connect with the audience. But what a talent… he is one of the most under-recognized geniuses of all time, in my opinion. I hope you’ll take a few moments to check out the new tribute website to Alan. It was established last year by his family and I’ve been honored to contribute to it. Also, the design theme features the lighting tower from Woodstock! It’s at: AlanWilsonCannedHeat.com. I’ll be sure to check out the rest of your blog. Thanks for helping to keep Alan’s music alive, and don’t forget to boogie, as Canned Heat always said! I love the biography on the website. Thank you for the correction. I love Canned Heat and often tell my friends that Alan Wilson is one of the most underrated and unknown great musicians. The entire band was excellent. It is a true shame that he had to die so young. Thank you so much for checking out the blog and hopefully you can continue to find good content. I do appreciate the view and thanks for the congratulations.